Jeremy continues to show he knows that not only can he create great and fun golf courses, but how to incorporate something different into each of his designs. 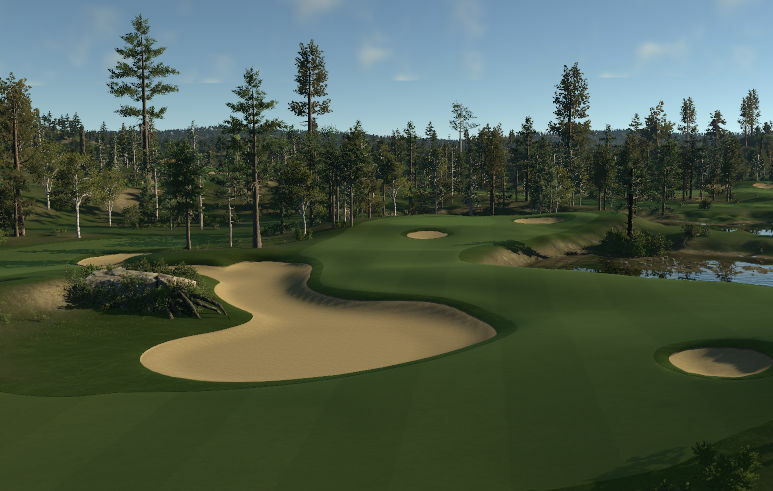 This course may be my favorite plot of his, due to the usage of gentle curving fairways and bunkers and landscape. Every tree, flower, rock, and hazard has a smooth and directional flow which really encapsulates the essence of tranquility. Even if you play a poor round, the golfer won't want to leave the property and may pull out his fishing pole and head over to the friendly cabin across the lake. - Multiple versions with different pins and tees. - Clean, green, and calming design. - Excellent plot on and off the holes. - Masterful terrain shaping and bunkering. - Sunday version has a lot of really long par4s, including a few 500+yds. 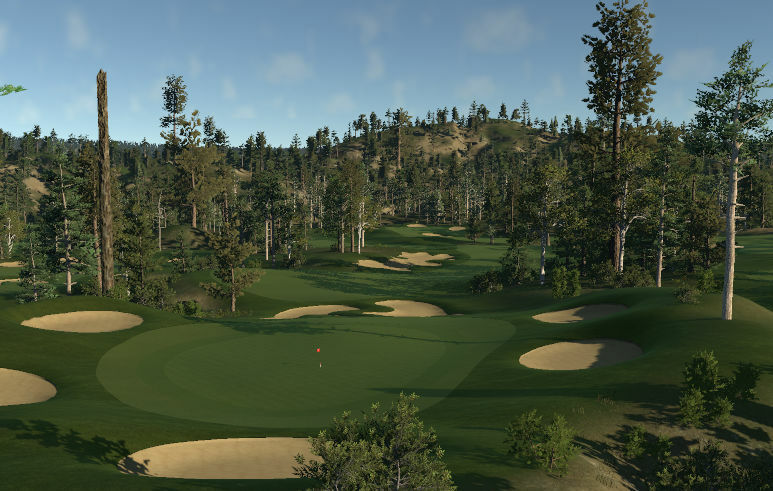 - Enormous greens will leave you with some extra long sloping putts. Verdict: Get out and try the different versions. Your mind and soul will thank you. 5-star approved. Great looking course from Taste again. I played the Saturday version. We've come to expect good looking courses from Taste and this one was more of the same (that's a good thing folks!). Redwood Elite has a couple of interesting things that separated it from the others. I saw at least one alternative green on the course making the par 4 much shorter on the version I played. Another was a nice par 5 with a swampy looking pond between your drive and the green. Thought it stood out in a good way. Lots of elevation change is going to be coming your way as well so get your mind ready to do some calculations. The greens were fairly easy on the Saturday version. Not a lot of break near the holes so if you get it close it's not out of the question to knock a few long ones in. I've read that Taste created this one a bit backwards by placing fairways down first and then shaping it with the rough after. Interesting way to construct it and I'm sure there are some apparent features that would be a big tell, but to my eye, I'm not sure it stands out so much that it's worth doing again if it's at all more time consuming than the standard method. A great course and great views await your at Redwood Elite. No brainer to book your tee time asap, it's going to be full soon enough! - A very well polished course, what we are used to with a Jeremy Blaylock design. -Absolutely superb bunkering, some of the best out there. - Lighting and mood of the course is really well done. - Some may not be a fan of the decision to not include any light rough around the fairway. 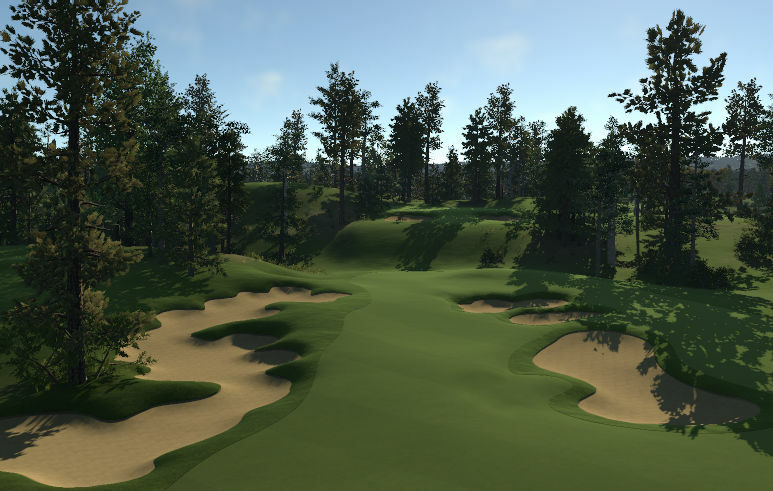 Great golf course designing, a true test of golf as you definitely need to bring your A game.